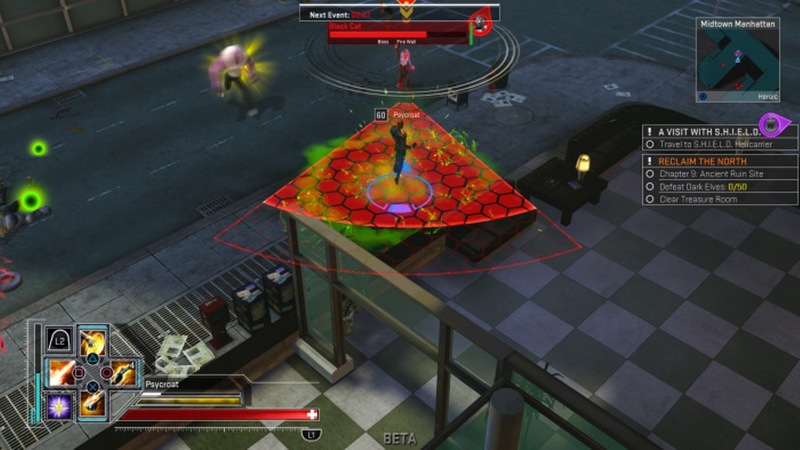 While the PC version has been out for some time now, Marvel Heroes Omega represents the series jump to the home consoles. Appearing on the PS4 first (which is already in beta and the basis of this review) and then a month later making its way to Xbox One. If you are not familiar with the premise, it is a fusion of the ever popular Diablo style hack and slash loot fest and the ever popular superhero franchise. Please note that while this is a beta build, it is very complete and online games tend to change with constant updates anyway. There is not much to discuss when it comes to the graphics. They are serviceable with all of the characters resembling their intended counterparts. In addition there are optional skins that can be purchased including some enhanced ones which go as far as to change the voice work of the character, though for veterans of the PC you will almost immediately notice that they are substantially lower in number. The highlight of the experience would have to be the comic book style cut scenes for the story mode that perfectly fit the source material. My only real complaint comes in the form of spell and ability effects, not that they are bad mind you just that they can be overwhelming if you are in a crowded area with other players making it easy to lose your character in. Honestly speaking, this genre was always more about the gameplay experience rather than the graphical fidelity. In that regard, the transition to console has been handled very proficiently. Much like the previously referenced Diablo, which also found its way to the console, the control scheme has been designed with the genre in mind allowing for quick access to abilities and proper response time in situations that require quick reflexes for dodging and mitigation. A very similar radial menu has been incorporated for equipment and resource management that is simple and prevents being lost in overly complex menu navigation. This allows the player to quickly do their inventory management, something that the genre makes sure is being done very frequently, and getting back to the action. Solid and addictive is the best way that I can describe the action. While it initially felt slower than the PC version to me, I got used to it very quickly and found that it was almost necessary for making the switch to controller for response time. There is a lot of fun to be had mowing through hundreds of enemies and bosses while grabbing up every shiny piece of loot in hopes of an upgrade in order to increase in power, even if it means just starting the same cycle over again. That being said there are many different ways to grow in power. The initial process of leveling to the current cap of 60 of course, which will allow for exploration in higher level zones though anyone familiar with RPGs in general knows that being effective once there almost entirely comes down to gear. That’s where trials come in, testing your merit in order to unlock higher difficulty levels which house tougher versions of the enemies and ultimately yield better gear. Once at max level, experience gains go towards an alternate advancement system called infinity points, these are account wide levels that can be allocated per character for passive bonuses. If the you haven’t had enough of the Diablo comparisons, think paragon levels. There are also legendary items that can be purchased with an in game form of currency known as legendary marks. These legendary items gain an equal amount of experience to the character and as they level up unlock their own series of passive stats. Finally, we have the synergies system. For those wondering what the point of leveling multiple characters is, here is the answer. Each roster character has a passive bonus when they reach level 25 and then again at 50. Once unlocked a combination of them can be equipped to your active character to benefit from. When you complete the tutorial you will be rewarded enough eternity splinters to purchase one middle tier or two lower tier characters. However, with a roster of about 38 you will need to either earn eternity splinters or cough up some cash. Eternity splinters drop at about a rate of about 1 every 7 minutes from defeated enemies which means a lot of time spent to unlock a character. If you go the way of paying, you will find that most items beyond characters are cosmetic or consumable. Skins and experience boosts for example that don’t give you a gameplay advantage but still exist to tempt you to open your wallet. One of most highly touted inclusions is couch co-op gameplay. The problem is that while is it possible to grab a second controller, log onto your own PSN ID and join a friend in their game you won’t be making any progress towards your own account. You will only have access to the primary players’ roster and all drops will go towards their game. It’s not a deal breaker but it is counterproductive as you will be more inclined to play online so that you can benefit from it. When it comes to the other differences from the PC version, it is mostly exclusions. 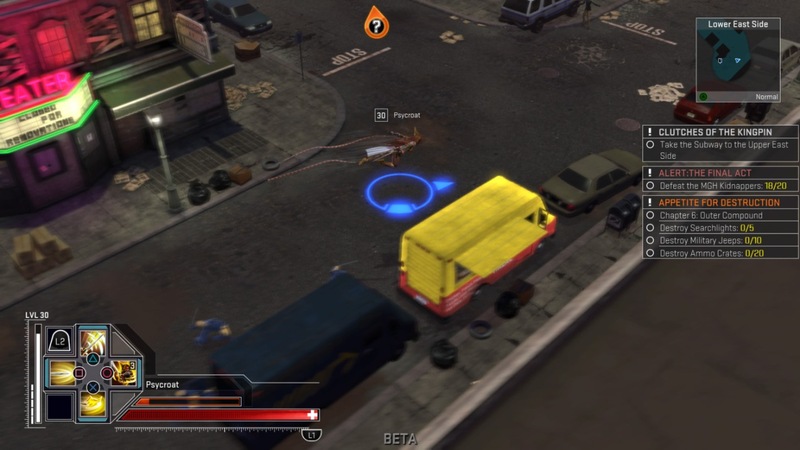 There are no mini pets, companions seem to have been omitted in favor of the couch coop, and certain modes such as patrols have been reduced from three maps down to just one, Midtown. As mentioned earlier the roster is down to almost half of what is available on the PC. The only positive I can make from this is that it isn’t just the launch roster from PC. 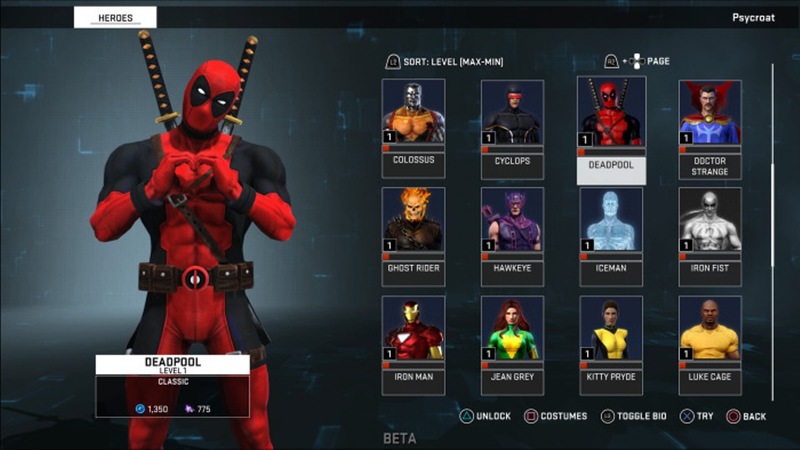 They seemed to have selected specific characters available out of the gate including ones added in post launch updates like Gambit, Psylocke and fan favorite Deadpool. These exclusions could have occurred in order to prevent a delay in release and since this is an online game there is always the option to add these modes, characters and features in future patches. I do want to make it clear however that there is more than enough content included to start playing right away and not wait for more content to be added. Like many online games reaching the max level opens up end game activities that will keep you busy for a long time. The Danger Room functions much like Nephilim Rifts in Diablo, providing with a series of randomized floors with different modifiers to work through for better gear. There are also operations which are almost like quick dungeon versions of sections from the story mode that can be jumped into for a short burst of gameplay. It might seem like a lot of what I have said suggest the game possesses a lot of grinding…yeah. That is the very foundation of the ARPG hack and slash genre. 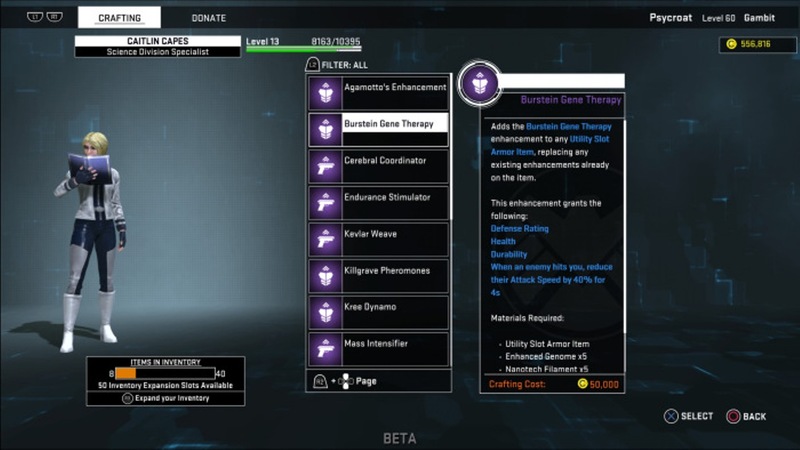 Unless you are interested in just booting up the 9 chapter story mode and being done with the game, you will be kept very busy with grinding gear, currency and gear in the hopes of perfecting your characters build. Even the trophies (and I assume same list for achievements) are very attainable and can be done without spending a dime of actual money but a whole heck of a lot of grinding. I won’t be making a big conclusion. Let’s be clear, the game is free. 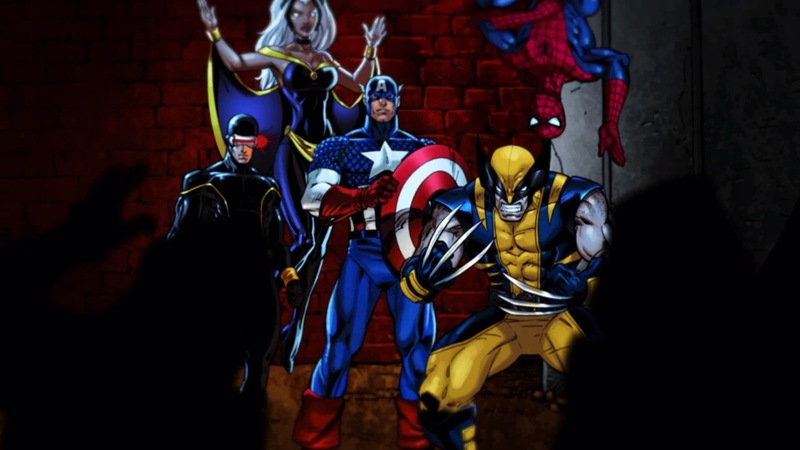 If you are a fan of the genre or the Marvel universe as a whole you should download the game and give it a try.